Dark Blonde 20" Clip In Human Hair Extensions. 110grams. 100% Remy Human Hair. Our 20" Regular Clip In Hair Extension Set contains 10 pieces. 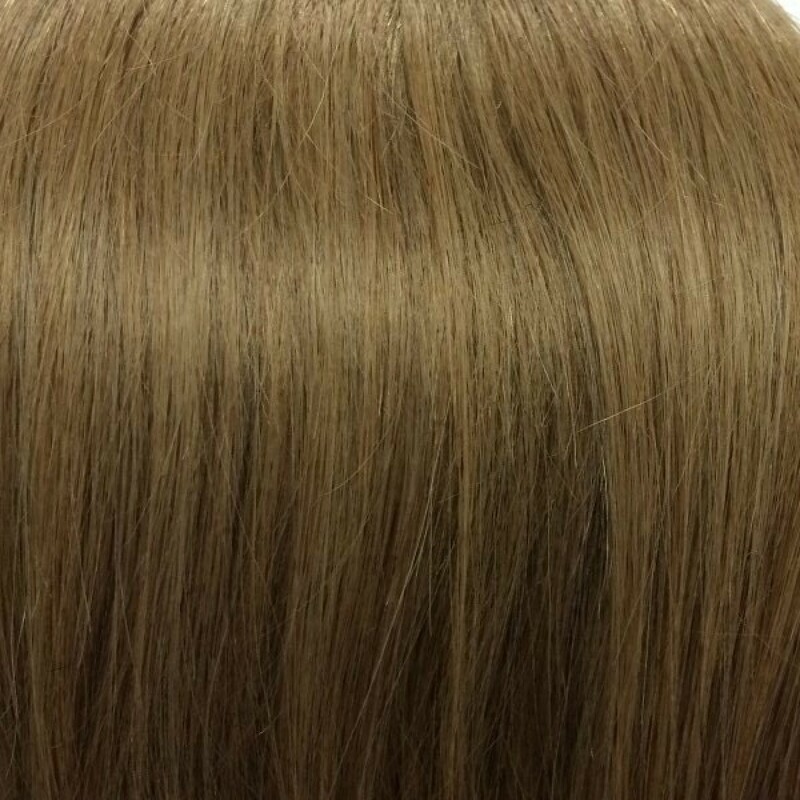 This full head set of Dark Blonde hair extensions is made from 100% Remy Human Hair. Add 20 inches of length to your natural hair with our 110gram double drawn, and double wefted human clip in extensions. Dark Blonde is a gorgeous dark blonde colour with no red undertones. Who Should Buy This Set? If you have thin or fine hair then this set will be perfect for you. The Regular set will add thickness or extra colour to already long hair, or fine hair. 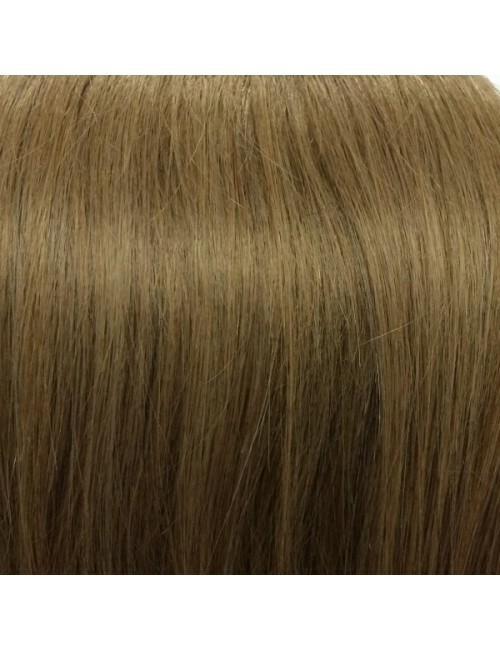 All of our hair extensions are made from 100% silky soft Remy Human Hair. Remy means that all the cuticles on the hair are running in the same direction, just like your natural hair grows. This means less tangling, and longer laster hair.